As for Menards, according to Athens Director of Code Enforcement Rick Sirois, the company is already permitted to begin construction of its Athens store. 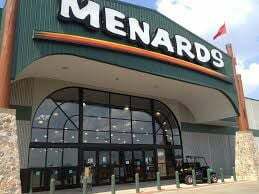 Menards spokesperson Jeff Abbott said in an email that construction could begin next year. “Although no official timeline has been established, if all goes as planned, we hope to begin construction sometime in late spring 2019,” Abbott said. 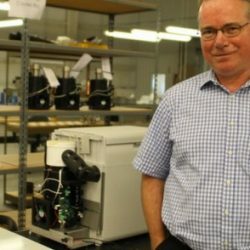 The company first received zoning permit and Title 41 site plan approval from the city of Athens in June 2017, and requested a renewal of those permits in August of this year. At an Athens Planning Commission meeting on Aug. 16, City Planner Paul Logue read a memo from Sirois that briefly explained why the planning process for the project had taken so long. State records show that the company already has received partial plan approval for its main store (though it still awaits final approval), and is awaiting state approval of plans for a lumber storage building in the same location. The property where the company plans to build the store is located at 2009 E. State St., between the Hocking River and East State Street, across the road from the apartments and storage facility on Hope Drive. According to state records, the estimated cost for the main store is $6.45 million, while the cost estimate for a lumber storage building is $950,000. Separate permits are being sought for the two buildings.